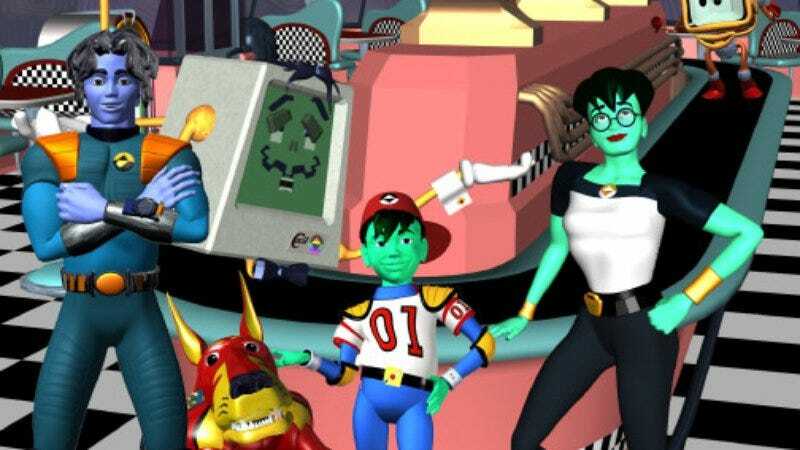 The ouroboros of pop culture has finally caught its own tail: the niche ’90s animated series ReBoot is being rebooted for a new generation. The original show, which ran from 1994 to 2001, was the first ever fully computer animated television series. ReBoot is set in a computer world called the Mainframe, where the characters Bob, Dot, and Enzo fought the virus Megabyte and his henchmen. The heroes also faced off against Megabyte’s sister, Hexadecimal, who to this day is still the scariest thing anyone has ever seen. Created by Michael Hefferon, the new series will be called ReBoot: The Guardian Code and will mix live-action footage and CG sequences. The story will focus on four teens who realize that they are next-generation Guardians of the Mainframe (the mantle of the characters in the original series) who must save the real world by defending it in cyberspace. The series once again will be produced by the Mainframe subsidiary of Rainmaker Entertainment. Corus Entertainment has ordered 26 episodes thus far. It will interesting to see if kids latch on to this show the way they did in the mid-’90s, when the inner workings of computers were a complete mystery to most adolescents and the allure of a mainframe world burned bright for those whose parents wouldn’t let them watch The Lawnmower Man (because it was “for adults” with terrible taste). Anyway, ReBoot is getting a reboot, the circle is complete, and the only thing left to reboot at this point is ourselves—and The Lawnmower Man.